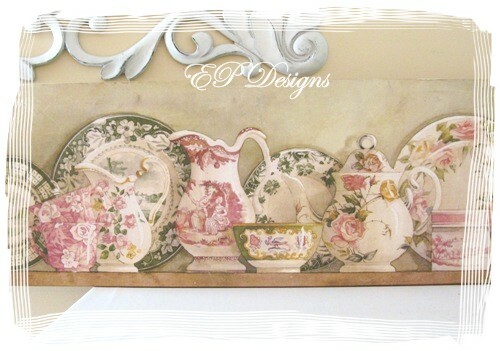 If you like surrounding yourself with beautiful things then your walls are a great place to start – so, go on, hang some beautiful, decorative pieces on your walls. 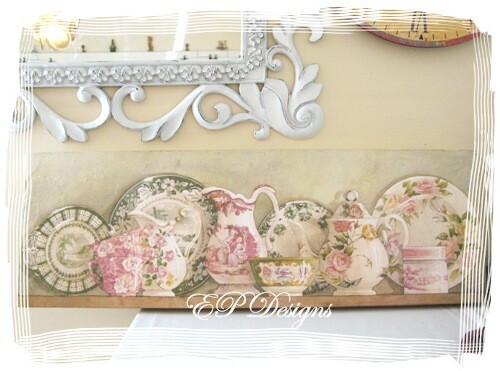 These photos show a gorgeous, long panel print of antique crockery. 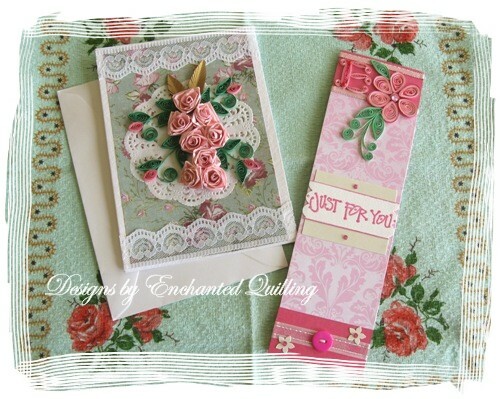 Just right for that Vintage Chic look. 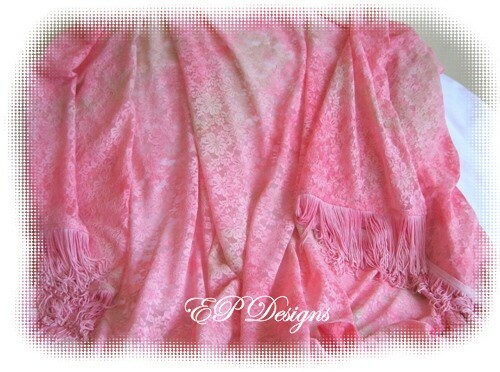 When the walls are taken care of you can whimsically toss a gorgeous pink lace throw over your lounge chair, couch or bed. 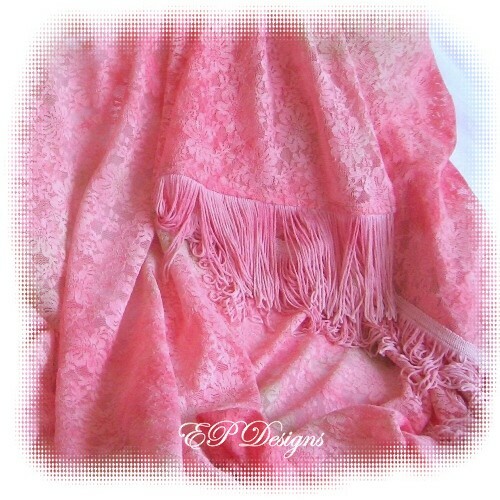 This pink throw is also trimmed with hand-dyed fringing, made to match the lace. It wouldn’t be the same on Pink Saturday if we didn’t include a picture of some beautiful blooms. 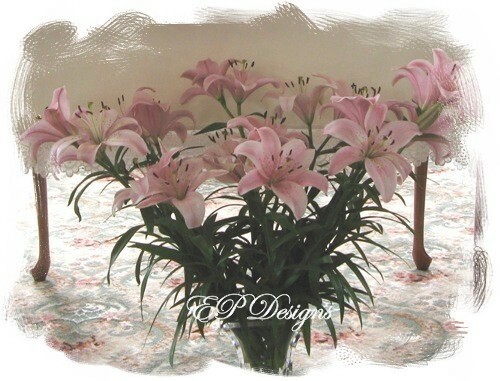 These pink lilies looked absolutely amazing – the photo does not do them justice. They stood magnificently in a glass vase at the foot of the alter in the chapel of Our Lady of the Angels. Flowers like these do last a very long time & would cheer up your home and heart continuously…. not forgetting the lovely fragrance they send out.